﻿ Best Price on Arte Hostal in Boquete + Reviews! 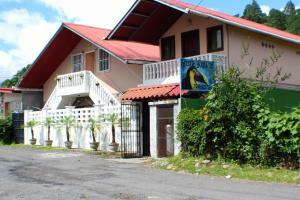 Featuring free WiFi and a terrace, Arte Hostal offers accommodations in Boquete, 24 mi from David. Free private parking is available on site. A terrace or patio are featured in certain rooms. Every room has access to a shared bathroom equipped with a bath or shower. You will find shops at the property. You can engage in various activities, such as golfing, horse riding and cycling. The guest house also offers bike hire. The nearest airport is Enrique Malek International Airport, 27 mi from the property.